I am always on the lookout for a new recipe, especially healthy recipes. If there is a way to get more veggies into my kids’ diets then I am all for it! We recently had a bunch of broccoli, I’m talking 5lb bag of broccoli here! Hey my kids were the ones who wanted the broccoli, the only problem was they didn’t realize that they’d be tired of broccoli after day 2. 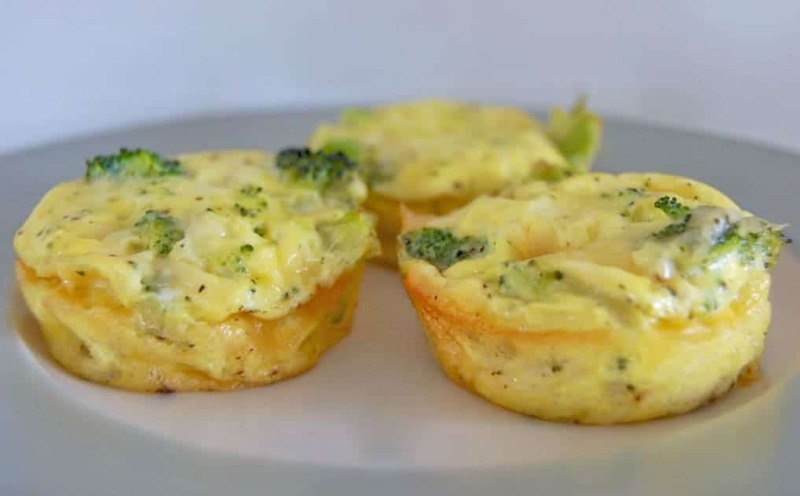 In order to finish off our very large stash of broccoli, I found a new recipe; Broccoli and Cheese Mini Quiches. It’s a very simple and yet quite healthy recipe. My kids think it’s great that they get their own personal quiches and I like the fact that it’s easy to make. If using frozen broccoli, steam it a bit before adding to the recipe. Mix eggs, milk, mustard, and pepper in bowl. Once well mixed add in broccoli and cheese. Pour mixture into muffin tins about ½ – ¾ full. Bake in oven for 20 minutes or until quiche is set. Let cool a bit and then serve. Makes about 9-12 quiches depending on how high you fill your muffin tins. OHH i bet the mustard make these delis! I love basic, simple recipes like this that use real ingredients! Do you think these would keep in the fridge or freezer for future use? They'll keep in the fridge for a few days, I haven't tried the freezer but I don't see why they wouldn't! Great question! Sadly, as I’ve not tried freezing them, I really have no idea. I know I’ve seen plenty of freezer mini quiches like these so I imagine you could freeze them but I can’t say for sure.